“IDENTITY “(Installation) / “Continental breakfast” 2006th Banjaluka, BIH. The identity of the fairy is a study of identities in the context of the patriarchal “idyll”. I style stereotypes to create unfulfilled identities in the age of transition, encountering ethically highly significant aspects of naturalness and unnaturalness. 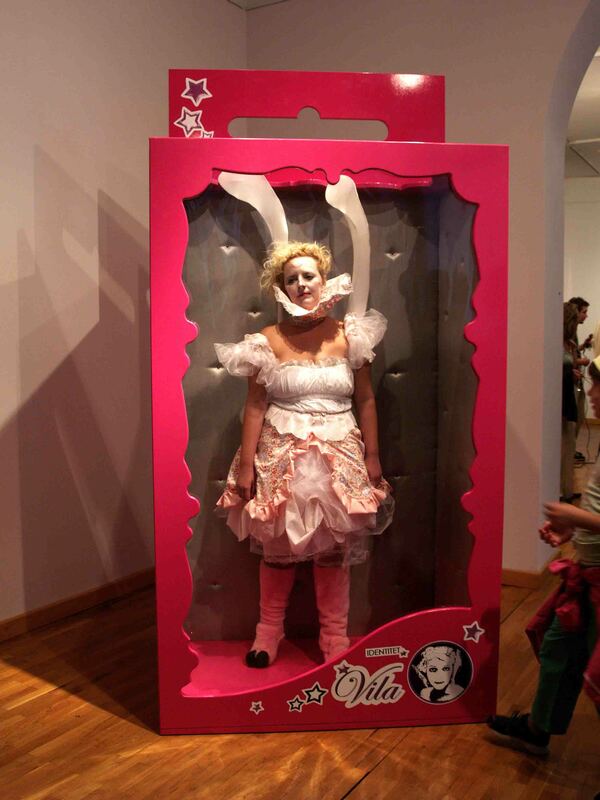 In that sense, this installation- performance featuring an oversized Barbie doll box, with a motionless live girl standing inside (artist Sandra Dukic)-explores relations in popular cultures and effects they have on art products, their market and artists themselves. The question is about relations of art and how art correlates with gender identity issues.